2011 X Factor Finale photos © Chris Walter. These photos may not be copied, linked to or published in any form without permission, including on websites. 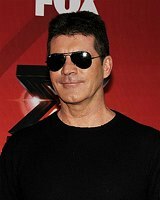 Simon Cowell at the 2011 X Factor finale press conference at CBS Television City in Los Angeles, December 19th 2011. Melanie Amaro finalist at the 2011 X Factor finale press conference at CBS Television City in Los Angeles, December 19th 2011. 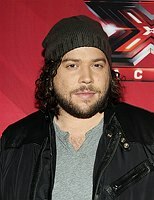 Josh Krajcik finalist at the 2011 X Factor finale press conference at CBS Television City in Los Angeles, December 19th 2011. 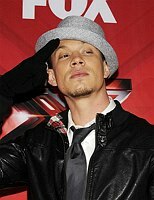 Chris Rene finalist at the 2011 X Factor finale press conference at CBS Television City in Los Angeles, December 19th 2011. Host Steve Jonesat the 2011 X Factor finale press conference at CBS Television City in Los Angeles, December 19th 2011. LA Reid, Chris Rene, Nicole Scherzinger, Josh Krajcik, Paula Abdul, Simon Cowell and Melania Amaro at the 2011 X Factor finale press conference at CBS Television City in Los Angeles, December 19th 2011. Chris Rene and L.A. Reid at the 2011 X Factor finale press conference at CBS Television City in Los Angeles, December 19th 2011. Simon Cowell and Melanie Amaro at the 2011 X Factor finale press conference at CBS Television City in Los Angeles, December 19th 2011. Josh Krajcik and Nicole Scherzinger at the 2011 X Factor finale press conference at CBS Television City in Los Angeles, December 19th 2011. Nicole Scherzinger at the 2011 X Factor finale press conference at CBS Television City in Los Angeles, December 19th 2011. Paula Abdul, Simon Cowell and Nicole Scherzinger at the 2011 X Factor finale press conference at CBS Television City in Los Angeles, December 19th 2011. Paula Abdul at the 2011 X Factor finale press conference at CBS Television City in Los Angeles, December 19th 2011. Home Events Artist List TV-Film Contact Archive FAQ Download FAQ Blogs Terms Personal Print FAQ Prints Mobile 2011 X Factor Finale archive photos.